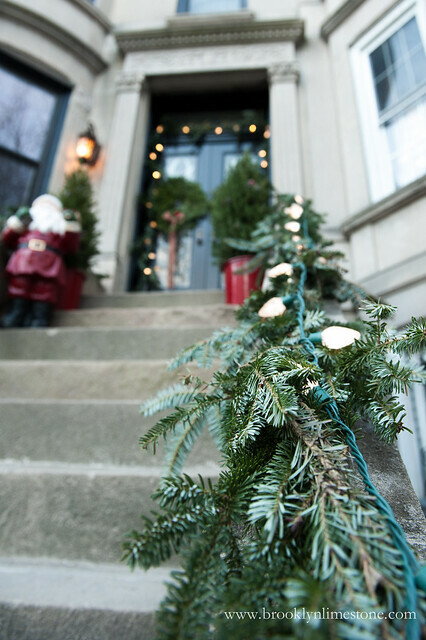 There are few things as wonderful as coming home after a long day at the office to the the twinkle of Christmas lights shining a path to my door. 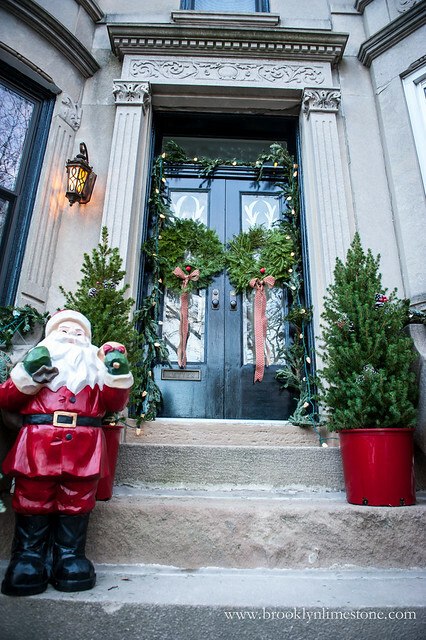 The finishing touches were done this weekend so I'm happy I can share my stoop tour and enjoy it for the next few weeks. 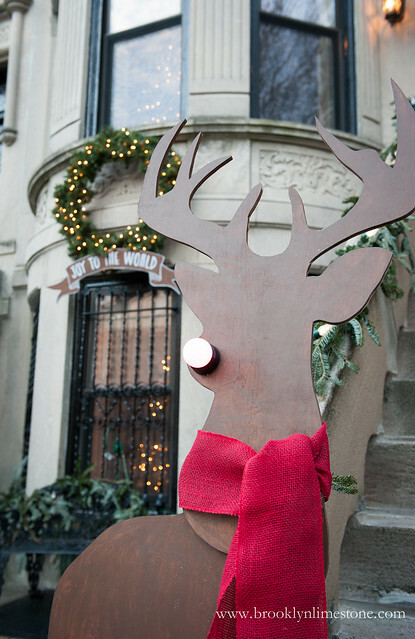 (Or spring if I'm naughty) I added a couple of DIY elements this year - a red light nosed reindeer and a simple painted banner. 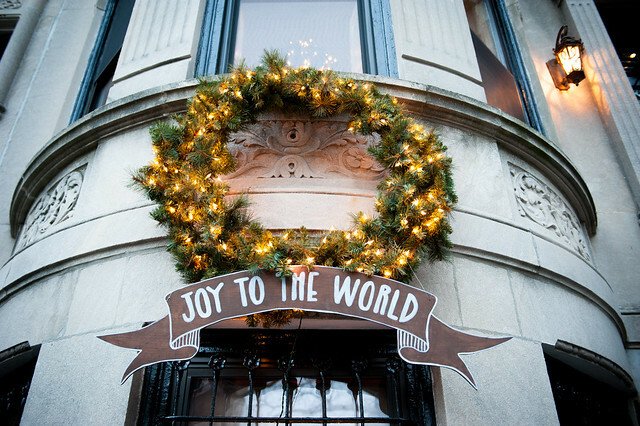 Love the banner and the reindeer cutout - and seeing your tree just behind the window! 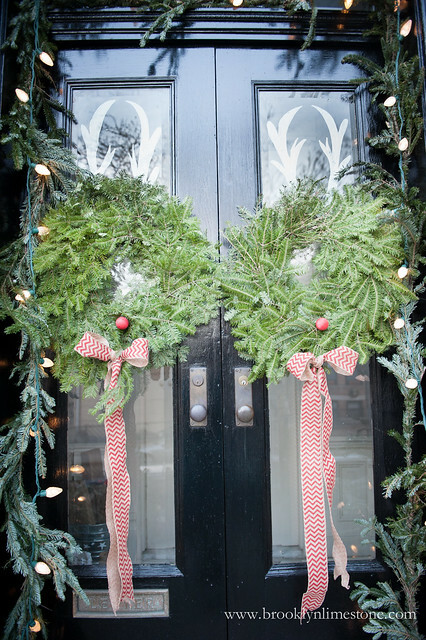 The reindeer noses on the wreaths are adorable. Absolutely gorgeous....especially your little photo bomber at the bottom! Oh, I love this soooo much! It's fun, but it still looks elegant. 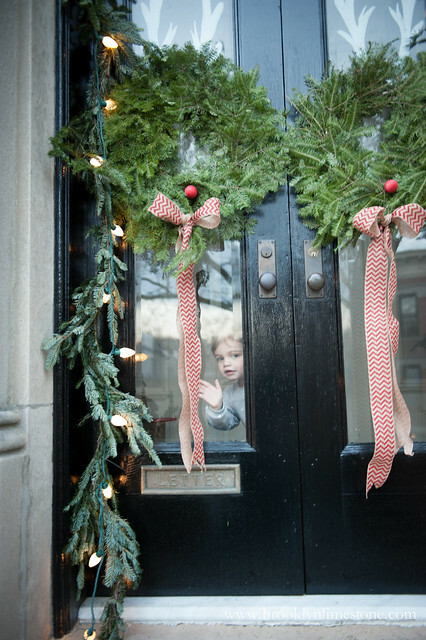 Your black door is almost as gorgeous as the little angel peeping out of it! 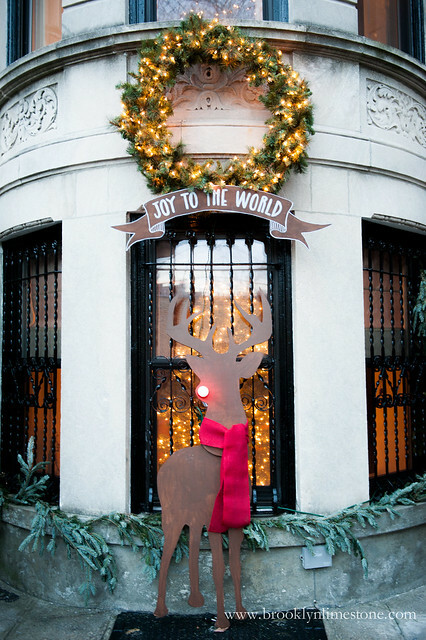 So pretty and love your reindeer.